Buying a Martin Grant Home could be even more affordable than you thought? The Help to Buy equity loan scheme was created by the Government to assist people to own their own homes. 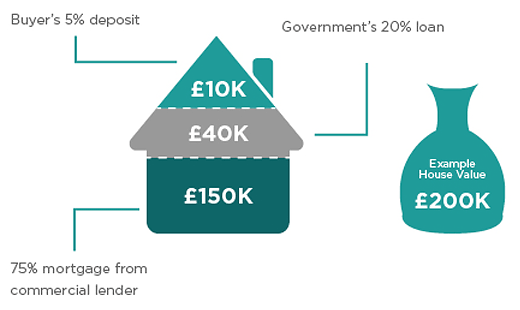 Here’s how it works: they provide an equity loan of up to 20% of the value of the home, which is also interest free for 5 years. This loan can be repaid at any time or on the eventual sale of your home. You then need to secure a 5% deposit and up to a 75% mortgage. There are many different types of mortgages available with this scheme, but we’re sure we can help you find one that meets your budget. The scheme is available exclusively for new build homes up to a value of £600,000 in England, £300,000 in Wales and £200,000 in Scotland. Our Sales Advisors at all of our developments can assist you with any queries you have about Help to Buy. They can also put you in touch with a range of Independent Financial Advisors to discuss any element of your mortgage requirements.